Just a Slingshot? | God has your back! 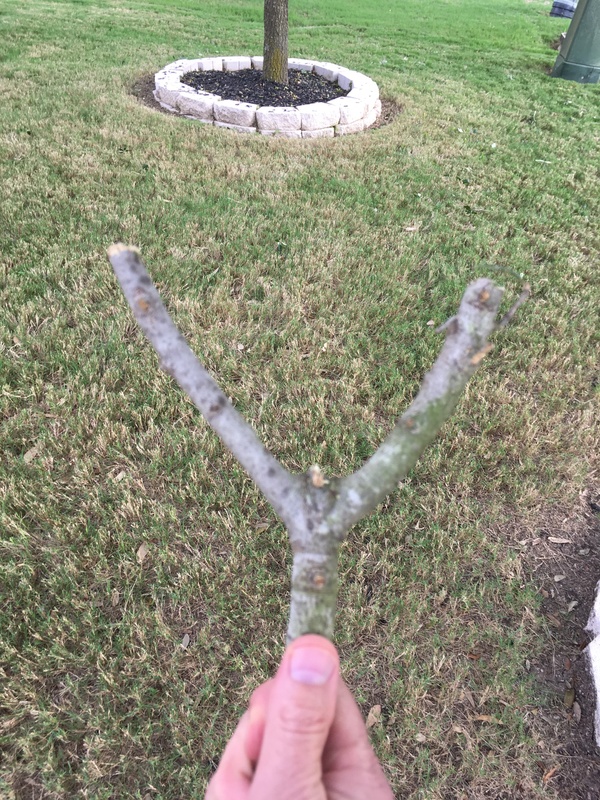 I was trimming tree limbs the other day and cutting them into small pieces for disposal when I noticed one that looked like a slingshot. It reminded me of when a young shepherd named David defeated a giant named Goliath. David wasn’t afraid to take on the bigger, stronger and heavily armed opponent with only a slingshot. As he went into battle, David testified he trusted that God who delivered him from lions and bears would deliver him from this enemy as well. God did just that and David was victorious over the enemy. I love the faith and assurance declared and demonstrated by David. We can have the same faith and assurance that David had. We can trust that no matter what giants the enemy sends against us, no matter how big they seem, we can be victorious. Our testimony can be that we know that God will empower us and equip us to be successful, even if all we have is a little slingshot. This entry was posted in Christianity, Church, Do Your Best, Don't give up, God, God is with Me, religion and tagged Christianity, Church, David and Goliath, faith, inspirational, ministry work, never forsaken, Slingshot, trimming trees. Bookmark the permalink.